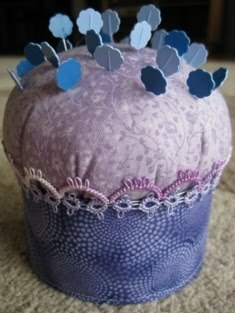 I have made this pin cushion for my colleague, Marita. She likes shades of purple, so they are the colours I have chosen. Again, I have tatted the edge for trimming.